I love this sweater for a ton of reasons. I love how intricate it looks, I love how the colors shift. I love how damn good it looks on, and I love how it's been worn (to my surprise!) virtually every day since the December birthday it was gifted on. 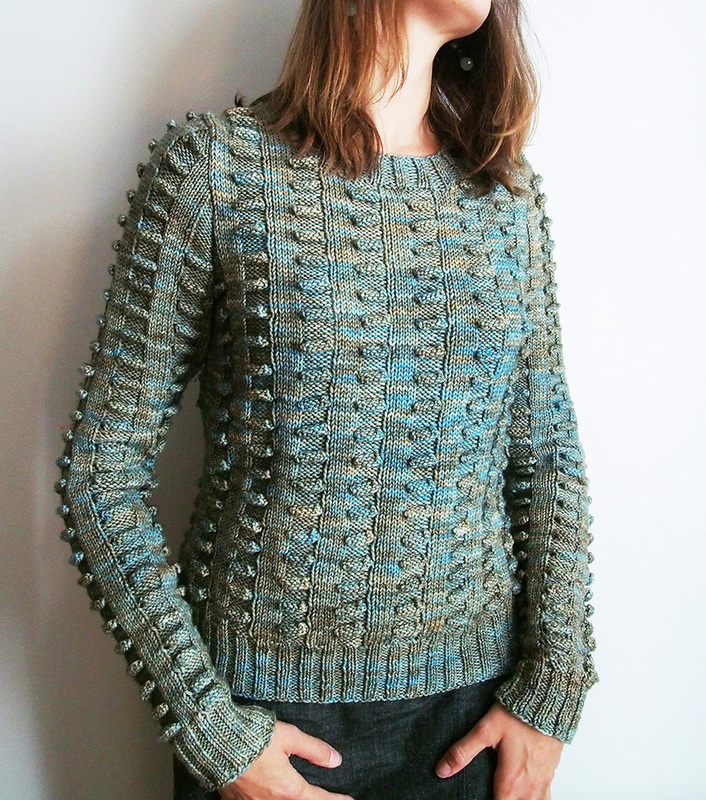 But most of all, I love the story behind this sweater -- because for me, it describes how my husband and I have somehow managed to knit ourselves together. For this story, we get to rewind to a time before him and I -- to a time when we were deep in other lives. Never had a handknit crossed his path, nor was there any hope that one from my hands would ever come to pass. 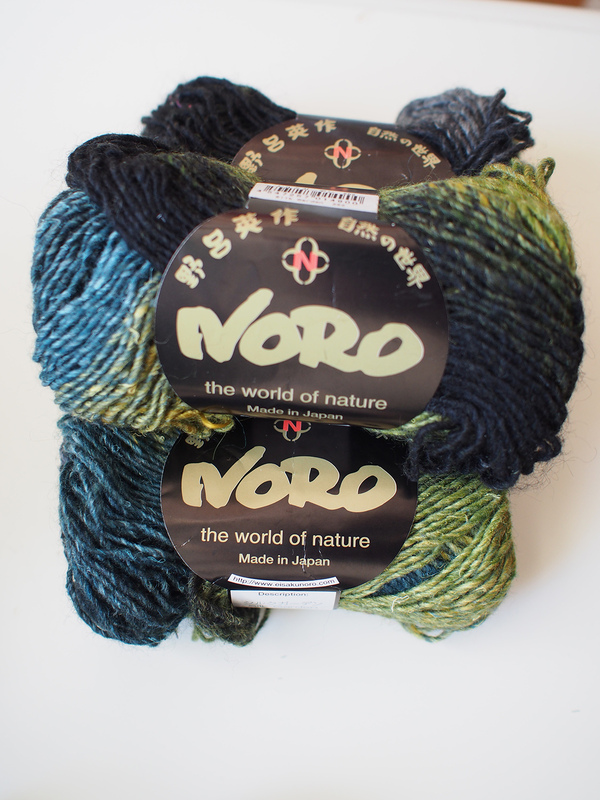 This story begins far far from home in Japan, the land of Noro yarn. A surprising turn of events had us visiting Tokyo for work, as colleagues, and on an off-day I invited him to see the city through a yarn-o-phile's eyes. Now, some of you may know that following a determined woman with a list of yarn shops is quite an adventure. Take a lady like that up on her offer, should it come, look what could result! Well, I had a big list from Ravelry and an even bigger map, but oh my -- is Tokyo EVER so big. We found ourselves on trains, trams, streets and suburbs. Lost in a wealthy backdrop on the way to La Droguerie, passing 3 times back and forth until we spied Avril in Kichijoji, repeat offenders at 2 lovable Tokyu Hands, and the final stop to the ginormous out-of-this-world craft mecca Yuzawaya. Listen -- it's a big complex trip out to the suburbs, but if you are ever in Tokyo, you must go to Yuzawaya. This place is a crafting warehouse -- with at least 5 floors, and each absolutely enormous floor devoted to a single craft! I AM SERIOUS>>> There is no more craft-devoted place on earth than Japan. 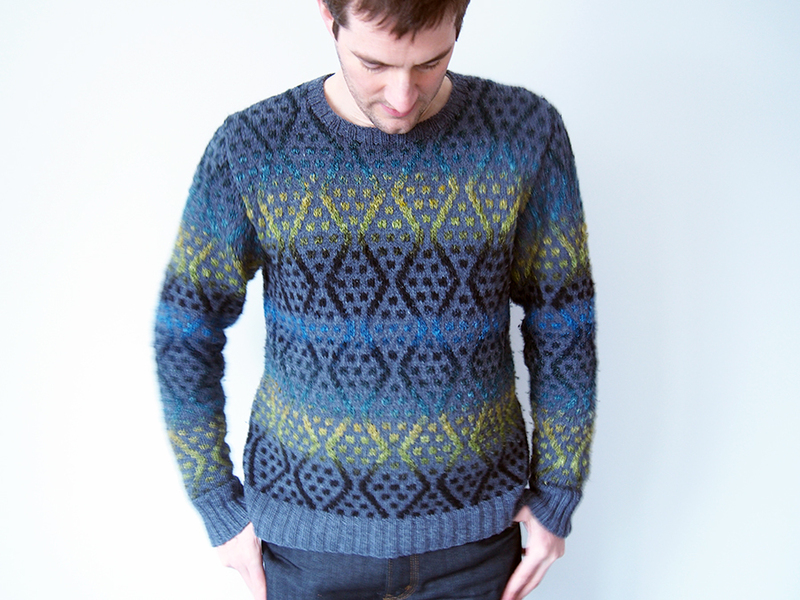 It just makes you want to scream every time someone says in North America, "Oh my god you knit?! My grandma knitted but I haven't seen anyone your age do it!" We climbed past the scrapbooking floor (the size of Amazon.com), the beading floor (the size of Walmart) up and up to the YARN floor. To give you a better idea of the enormity of what I am talking about, you can't even buy single balls. There are just bags and bags and bags of 10 balls of yarn. You buy 10, 20, 30, 100 or nothing. There is a Noro WING, for god's sake!!! Bags and bags and bags of Noro, and you know as well as I do that you need to buy double the Noro you may need if you want to match the darn stuff. I will curse myself to this day for not getting a photo -- but I saw a brand of yarn with a young Brad Pitt plastered on every ball band. YES. Brad Pitt yarn. You know the Bill Murray movie Lost in Translation, highlighting the phenomenon of famous American actors featuring in strange Japanese ads? Well, Bill Murray was lucky, he had high-end whisky. Brad? He was 100% acrylic. HA! He loved it - BUT he didn't want the Rowan Colourspun it called for -- he wanted the Noro he "picked for it" 5 years ago. As in, 5 years before the pattern was designed?? 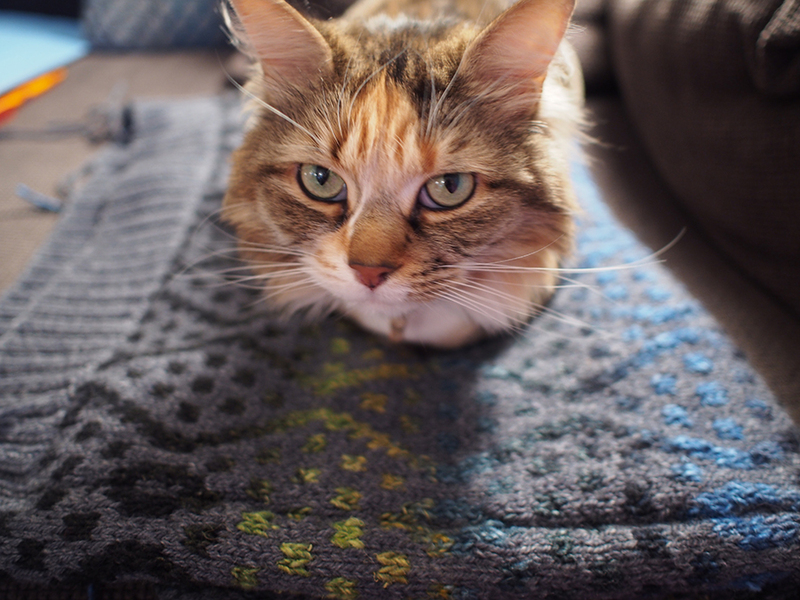 I said, "Hey, that Noro is for me, you picked it for me!" And with a serious don't-f-with-me look he makes it clear that no, no, silly woman, he picked it for himself. Actually, it wasn't quite in that order. 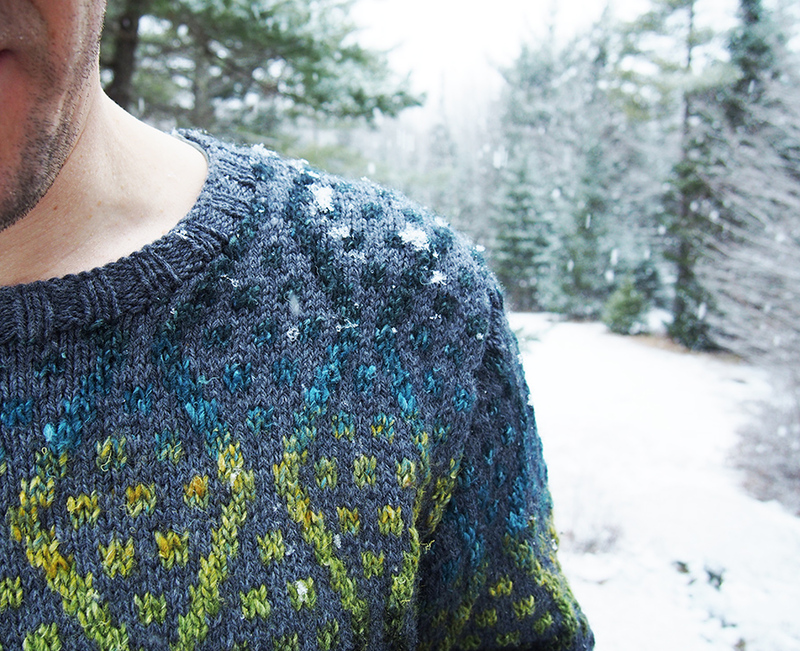 He liked the pattern, but the shrieking for it to be made didn't really happen until he found the contrast yarn in a Montreal yarn shop 10,371 km away from Yuzawaya. 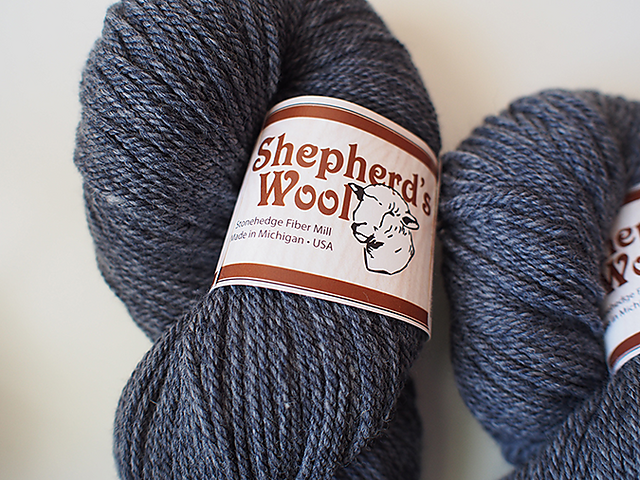 This is the absolutely sublime Stonehenge Fiber Mill Shepherd's Wool. 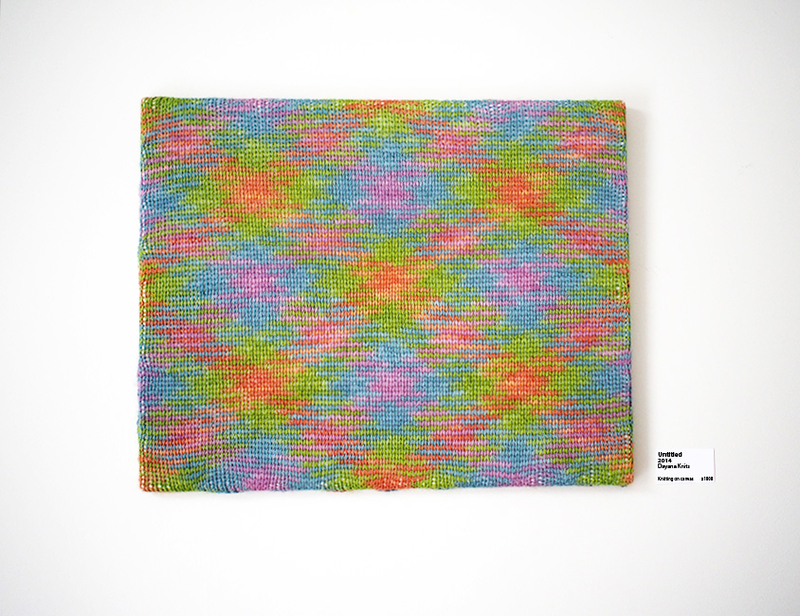 The idea was simple, use the Shepherd's Wool as the background and let Noro do the talking. And man, did it talk! How awesome is this sweater?! It's more of a hit than I anticipated. In fact, the Shepherd's Wool is such a soft wool that it may not be hardy enough for the daily wear it receives. 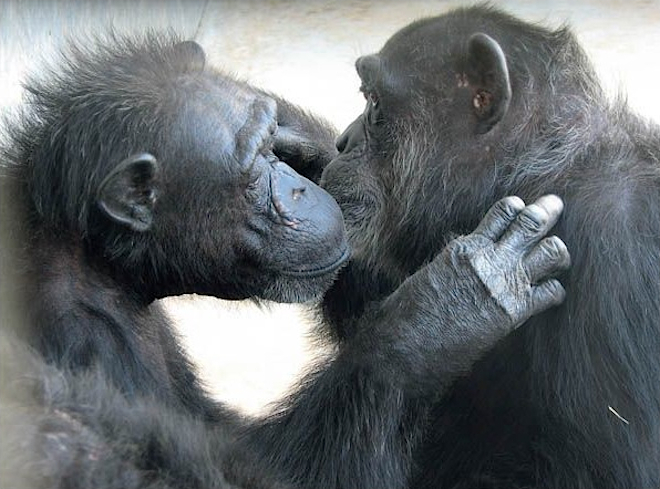 I've become that chimp that surreptitiously removes pills while he's trying to do something. I highly recommend this pattern. It is manly, hipster, loud, quiet and high-end all at once. And, did you get that it was free, too?! Put that on your bass and pluck it. First off, we were tricked into thinking that this wasn't a very snowy place. Look at our great wonder at some measly flakes. Yeah, why not look awesome while you shovel? Do you remember that overwhelmingly "6-feet under" feeling we used to have? 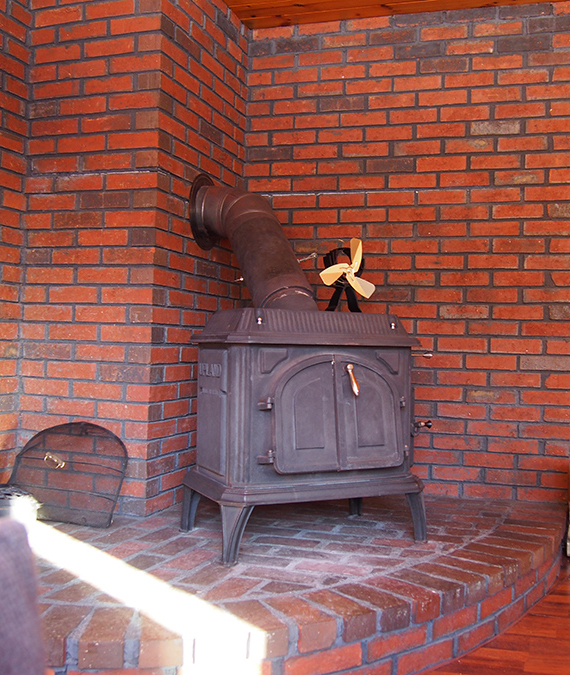 Enter a breath of fresh Cape Cod air! 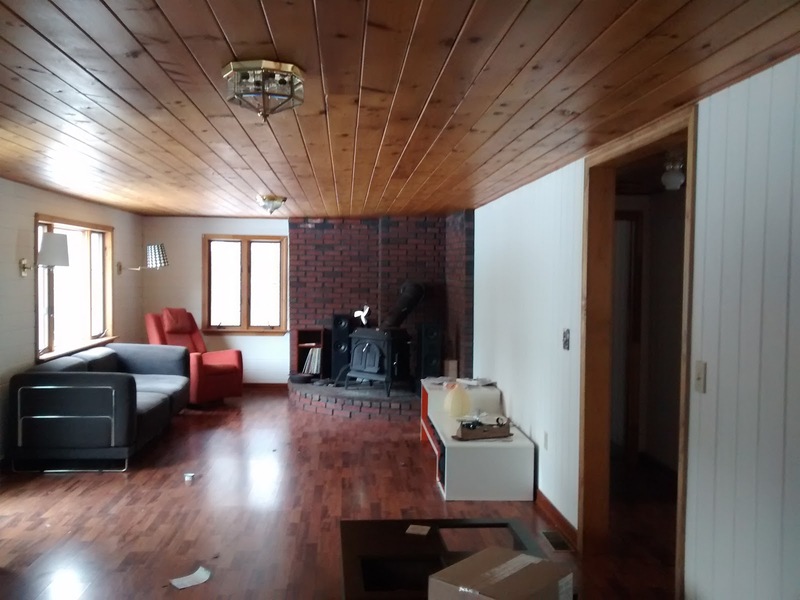 I can't wait to show you the finished decorated version -- but now we are living downstairs on that couch because we decided we couldn't stand the floor-to-floor carpet upstairs. 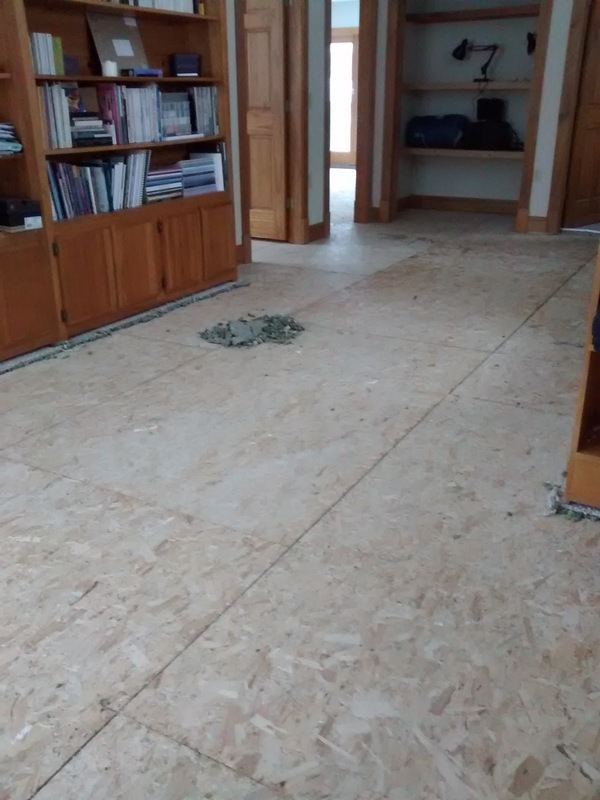 Hard wood floors, here we come! Remnants of nasty carpet pad! 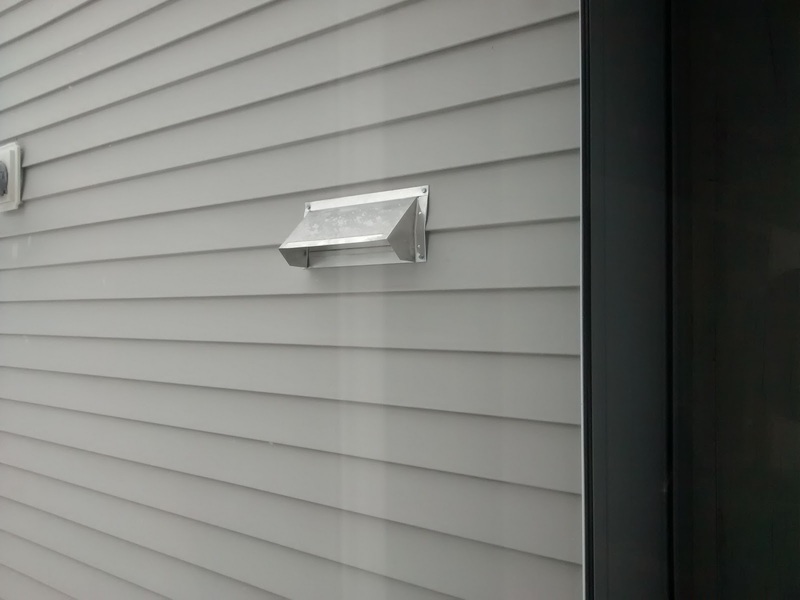 We learned the hard way (by smelling like burnt steak for 3 days) that our over-the-stove vent was only recirculating grease and smoke back into the house, so we had a hole poked through our house to vent it. Yikes, that freaked me out! Especially when they cut the stud that (of course) was exactly placed there. All good, we celebrated in non-smoky style with seared lamb chops! 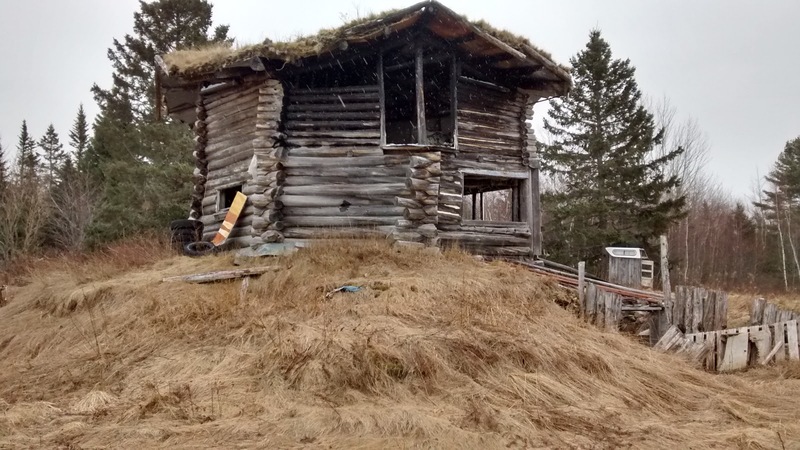 And do you remember the abandoned property that is behind our house that I was very interested in knowing more about? 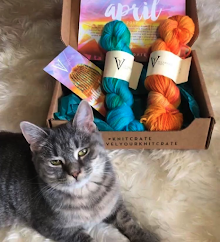 Well, an owner of a local yarn business found my posts through Ravelry! Can you believe she used to live there, learned how to spin in the little housy-house above, and helped clear the land in the 80s? 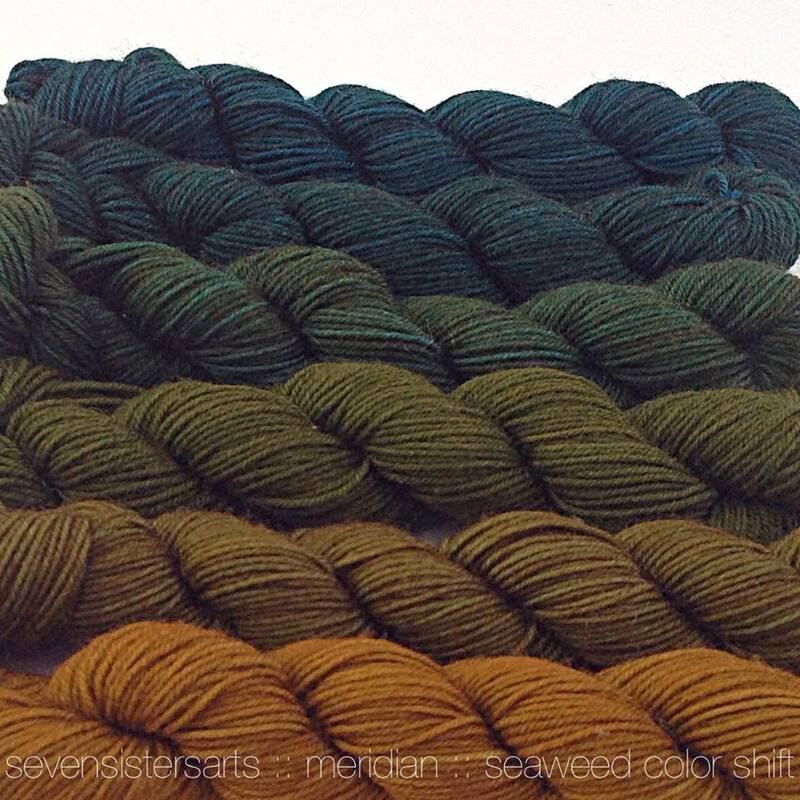 She has been in the yarn dyeing business for a good while, and I will be visiting her new venture Seven Sisters Arts in Blue Hill, Maine this Saturday! What a small world, hey??? And to imagine the story even involves yarn, oh Maine. 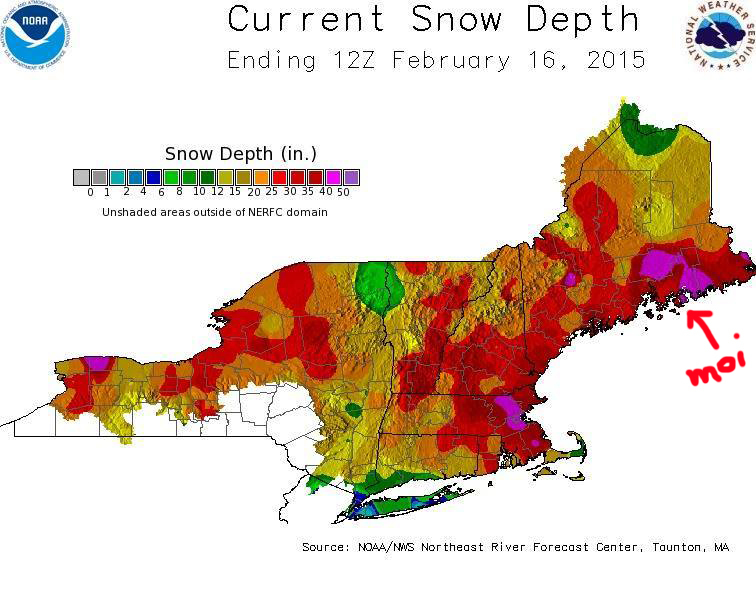 Otherwise, we are hunkered down like most in Maine, waiting for the thaw (and the inundated basement). 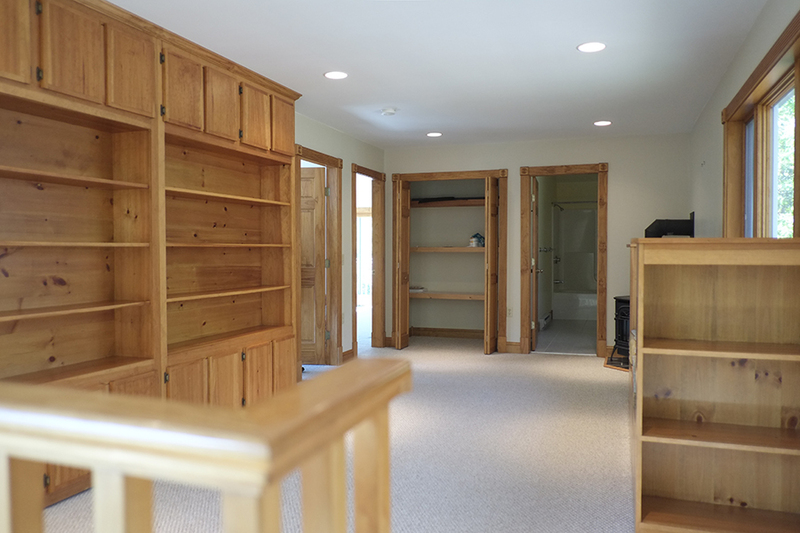 Next big house changes: kitchen island, mud room and screened-in porch before the black flies. No rest for the weary! Want to follow my adventures in Bar Harbor, Maine? I have a little lump in my throat at your story. So very romantic and not to mention a gorgeous sweater! Just love the story about the sweater. 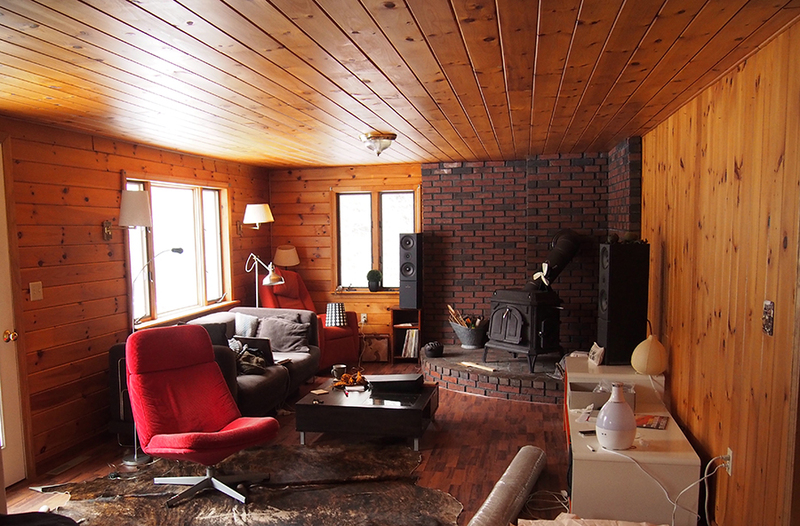 I agree with you about the pine walls . . . I just HATE that look! It's so much better (and bigger) with the pale walls. You're providing very good DIY ideas!! Looking forward to more. So great to hear from you! 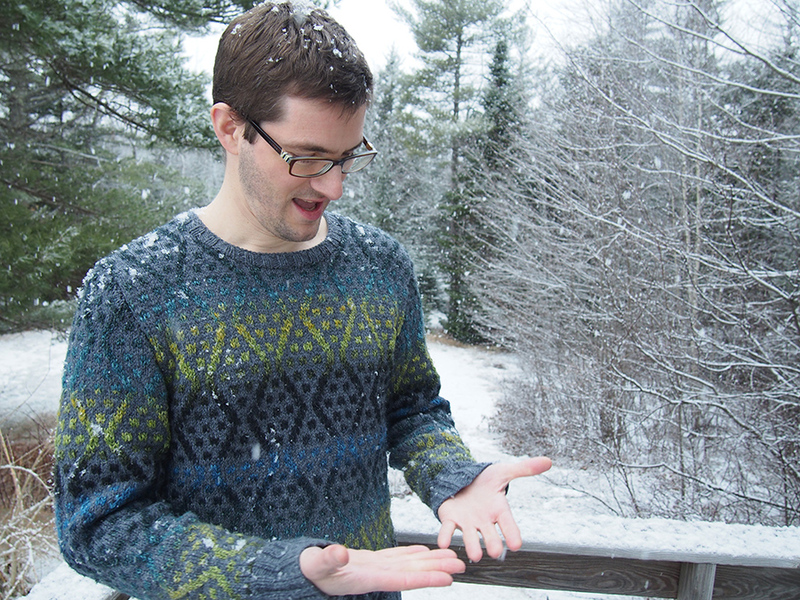 No snow in Maine? Ha, ha, you seriously bought that story!!?? 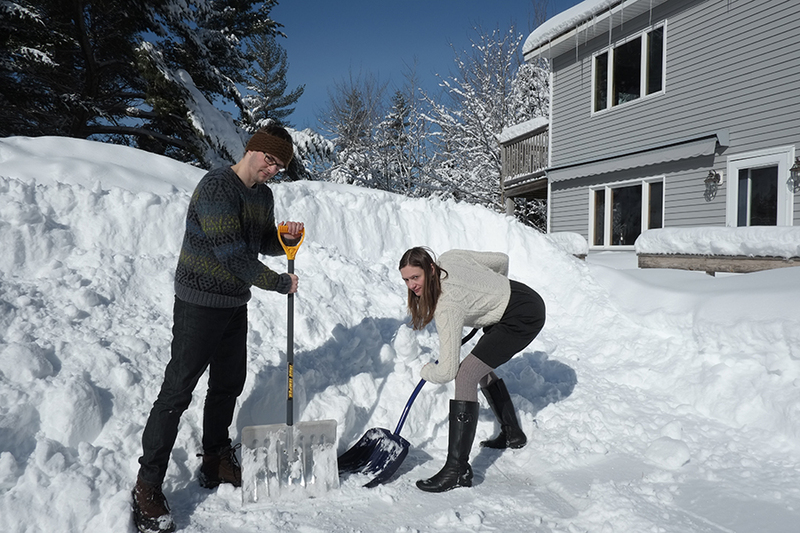 You both look great shoveling, by the way. And thhat sweater is awesome. Lucky you, having a husband claiming for his yearly sweater. When mine finally came up with a best pattern he liked, he saw the potential price of yarn and shuddered back. He'd rather buy a cheap made in China version that me knitting him one lovingly. Aarghh! Anyway... Going to Japan is a dream, and I'm not surprised that they have such a big store devoted to crafts. He's mine too. Honestly, they won't ever find one as good... but I'm happy to let them keep trying! 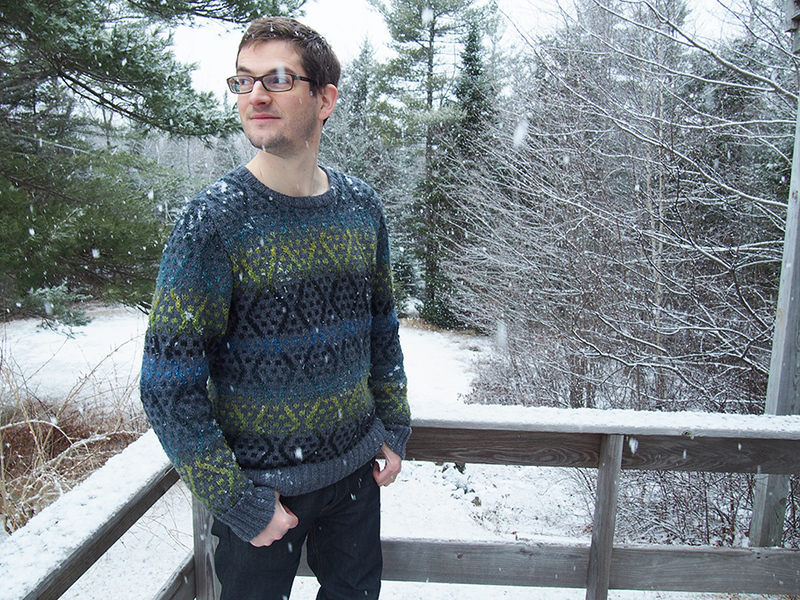 What a fantastic story and the sweater looks terrific! You never know where life will take you. 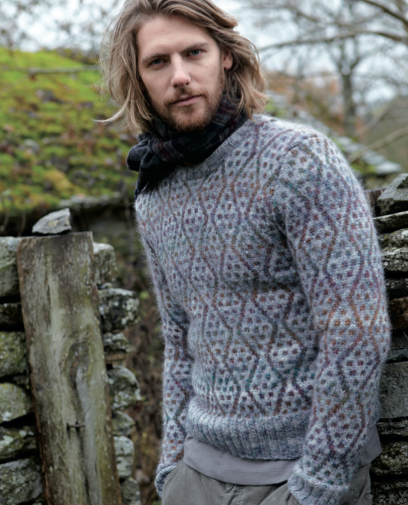 I knew my partner was a keeper when one day after I moved from Toronto to Liverpool, he drove me up in the pouring, pouring rain to Woolfest in Cumbria and then hung around while I went crazy petting hundreds of skeins of wool and trying to decide what to buy. Maybe he needs a sweater too. And I'm going to bookmark this post. The Liverpud and I want to travel to Japan for a holiday in the next 5 years - I will definitely need to visit Yuzawaya! Yes, you are right, he is a keeper! 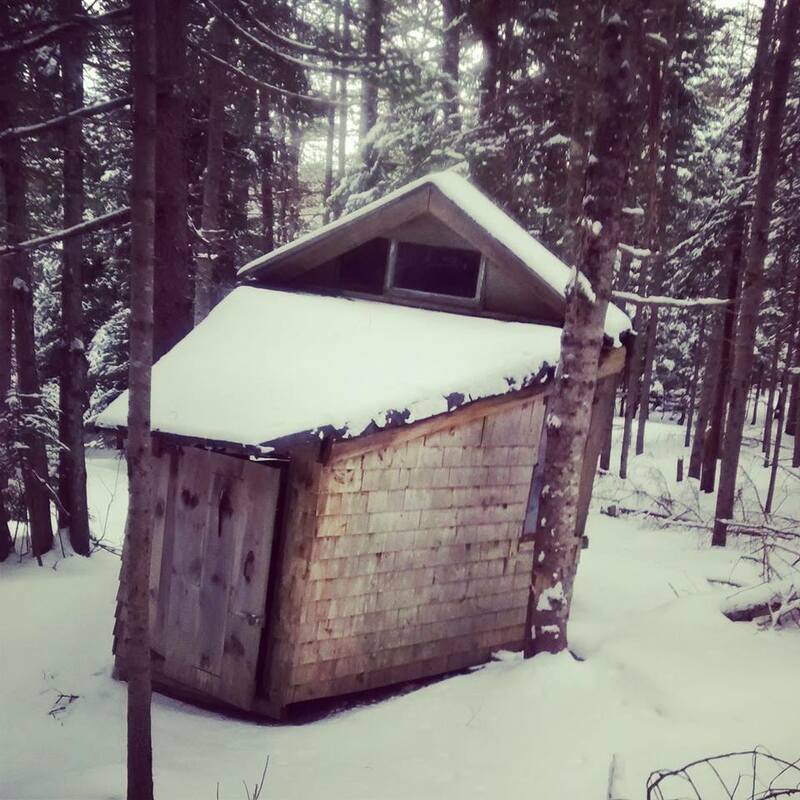 Fantastic story, and post :) Sounds like things are going well in Maine…except the snow! Haha. At least you are stocked with hand knit lovelies. P.S. I definitely LOL'd at that chimp reference!! Sweater looks fantastic. Kudos to you both and also the cat presser. 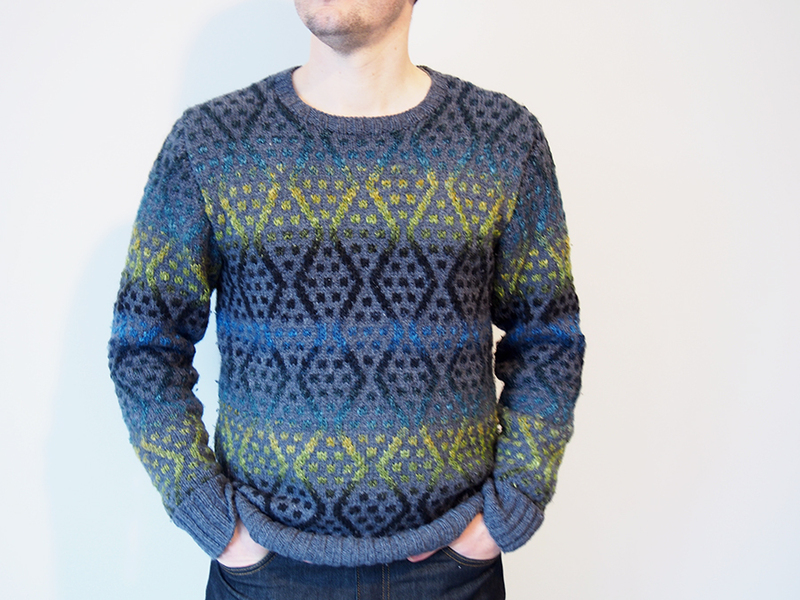 That's a great looking sweater, and I love Shepherd's wool. 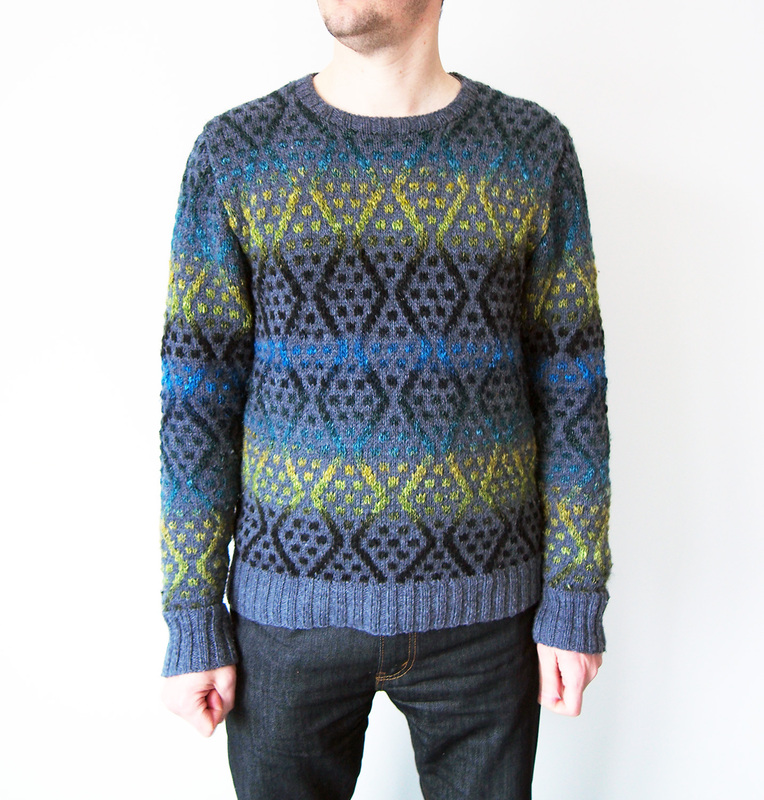 You could even adapt that pattern for a women's sweater and it would look great. My favorite craft store in Tokyo was Okadaya, right near Shinjuku station. It's got 7 floors, I think, with one floor all for yarn. Yes! Now I remember that one. Originally I only got there in the evening and only had but a moment to explore. I think your husband has talent as a designer. 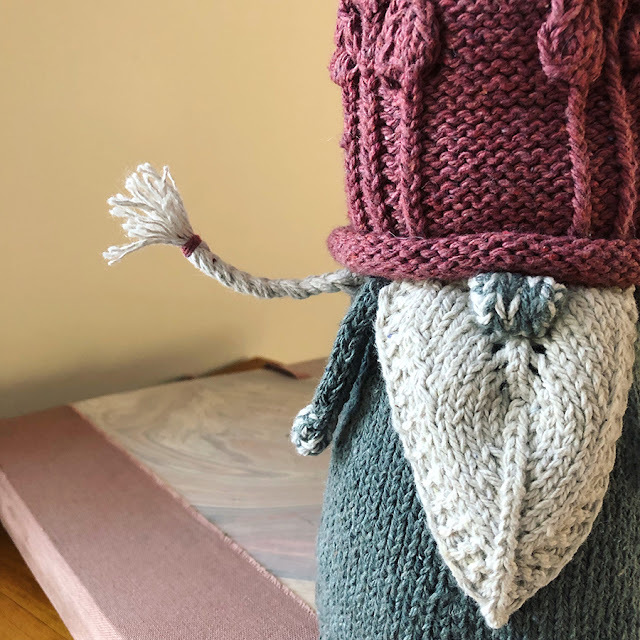 That yarn combination with the pattern is fantastic. Yup, let Noro do the work. It always amazes. Too bad Noro doesn't make snow blowers.